Please note that the publisher of this book requires us to distribute a "locked" PDF, which prevents printing. This is the only one of our PDF ebooks with these restrictions. We apologize for any inconvenience. I Am LOVING This… A True Blessing To Me!!! 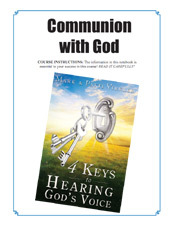 I just finished the first lesson of the “Communion With God” course from Christian Leadership University, which includes the book "4 Keys to Hearing God's Voice" and I have taken the self-test and God has opened the flood gates. 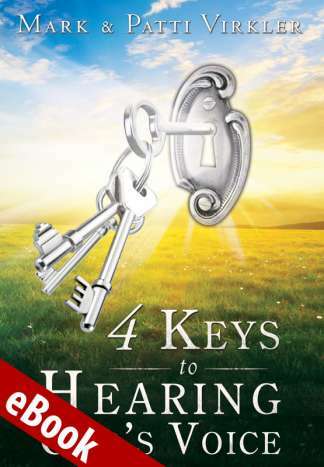 I found out that I had already been hearing God's voice and I had been confident in what He has been saying to me but now with me seeking and searching to hear Him and using the techniques in the book as well as being aware of how He speaks, it's non- stop communion. I can tell the difference between my thoughts and His voice. I am LOVING IT! I also had a breakthrough in which God pressed upon my heart to release myself from my past and when I shared my testimony and exposed the darkness by shining God's light, I was instantly set free! My extreme timidity came from the shame and guilt of my past and when I opened up for the first time ever about it and forgave myself, I was released! 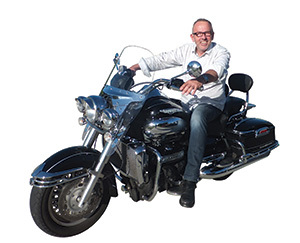 41 years of being extremely shy – hindering me from progress - GONE! Hallelujah! I have my three spiritual advisers in place and have shared the wonderful news with them. Two of them quoted the same Scripture reference to me: “He who began a good work in you will complete it until the end.” I also took the brain test and found out I am slightly right-brained, which I knew by my interests that I would be. 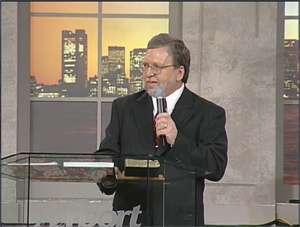 In January 2005 I attended a "Communion with God" seminar` by Dr. Mark Virkler. The special subject was "HOW TO HEAR THE VOICE OF GOD" by journaling. The most riveting aspect for me was that even at the very first meeting we were asked to "journal": i.e. write a question, wait and record the answer we heard from Jesus. Samples of these efforts were read aloud by volunteers, (some of them children!) filling them and the audience with awe. For 3 days we learned how to be still, how to listen, and how to record what we heard. Looking back at this event 6 years later I can clearly see that this seminar sparked everything that God had in store for me in the years ahead. I arrived home on fire with determination to practice journaling, which I did every day throughout the entire year. 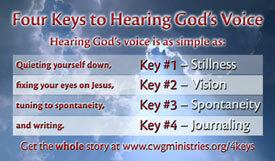 Learning how to be still - how to use the "4 keys" - how to recognize what God had to say about my needs. I was greatly helped in this endeavor by a weekly study of Mark Virkler's book "4 Keys to Hearing God's Voice", inspired by the Seminar. It lasted throughout the coming year, during which.I filled 5 large note books of messages. I found a joy in my times with the Lord which I had never known. I marveled at new insights I received, and became eager to share them! I selected special "Words" to type and store, filled with increasing desire to share them with other needy people. By the end of 2005 I was convinced that a book of selected journalings was meant to be my next task. The next two years were filled with decisions: how to organize the passages chosen into categories - name them and give each a motive for a cover page, which I designed, pick special paper and colors, type the text and have it all checked and edited. Though I was blessed along the way with expert and loving advice and help, including the difficulty of finding a printing company to handle the job - I am still astounded at how it all came to fruition! After a lifetime of floundering and avoiding seeing a vision through, there at the age of 94 I actually had my first published book! 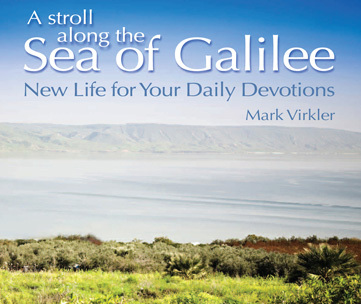 I dedicated it to Dr. Virkler and sent it to him; he loved it and promoted it in his ministry. With the publicity of this event came renewed interest into my "Life Story", which I had produced in photocopy several years earlier. It soon became obvious that most of that collection was obsolete, and irrelevant in my present life. It was time to another book! "Pebbles from God's Courtyard" came on the market, in July 2010, published by a Christian publisher. . It is a collection of 9 stories about people and experiences of my long life , as they appeared at the age 95! Dr.Virkler kindly wrote a foreword in it. I still marvel at the miracle of it! The years of writing this book were really "Old Age" years I was in and out of hospitals from accidents and lung problems. There were times of total discouragement and weakness. Through it all my dear housemates and other friends challenged and sustained me with every kind of help. 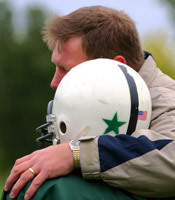 Others were ever ready with loving words of encouragement. And - above all - I learned more of the power of God's ever-present love than I had ever known. He would not let me give up! In the process I came to accept myself - His beloved child, for whom He had a purpose for as long as I was on earth! It took me so long to really believe this, and the wonder of it is still changing my attitude. This has made it not just possible but exciting to pass it on to others. I have spoken to several women's groups, sharing new insights, and encouraging believers. These events promoted renewed interest in my book "Journaling with Jesus" which is a devotional. It is not time-bound; I am still nourished daily by the messages, and I have no problem announcing this, since I am not the author! Everything has become worthwhile once again. There do come times when in my weakness and self-centeredness I cry to Jesus "Take me home already - I've had enough" But I can't stay there. Each day is a special gift. I am beginning to really understand that He is in charge - even of the day of my Homecoming - and I am learning slowly and painfully: "This is the day the Lord has made, let us rejoice and be glad in it!"